1 Carat half diamond eternity ring, set with round and baguette cut diamonds across a 4.6mm wide band with channel setting. Sparkling with brilliance this half channel set Eternity Ring design is fascinating with its alternating Diamond shapes. Precision set Round Brilliant and Baguette cut Diamonds give an understated elegance. 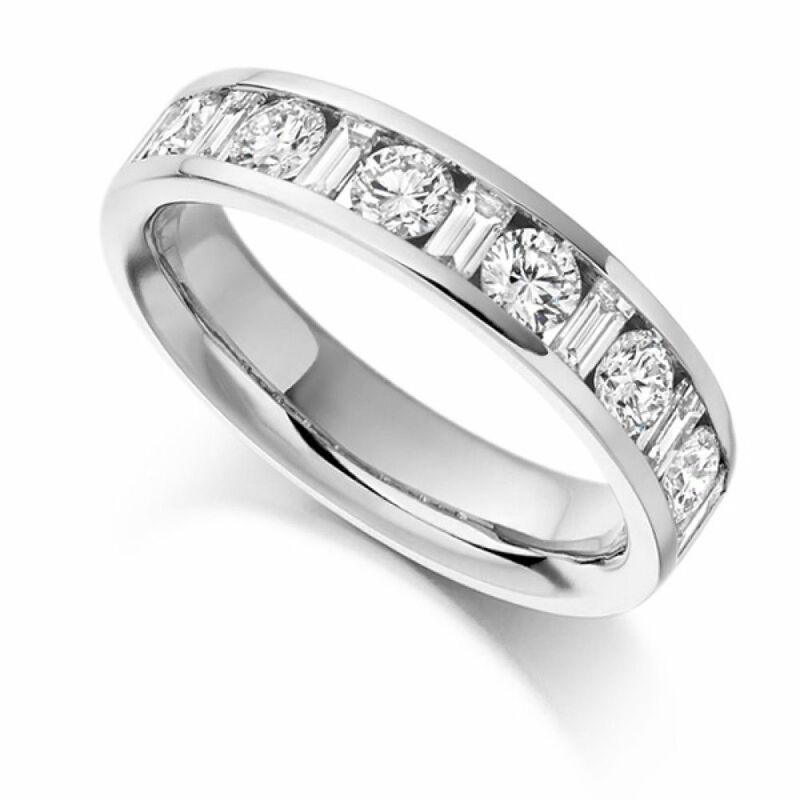 The dimensions of the ring include 4.6mm width with a full 1ct Diamond weight featuring an F Colour and VS1 Clarity. Choose from a wide range of precious metals including 18ct Yellow Gold, 18ct Rose Gold, 18ct White Gold, 950 Platinum and 950 Palladium. 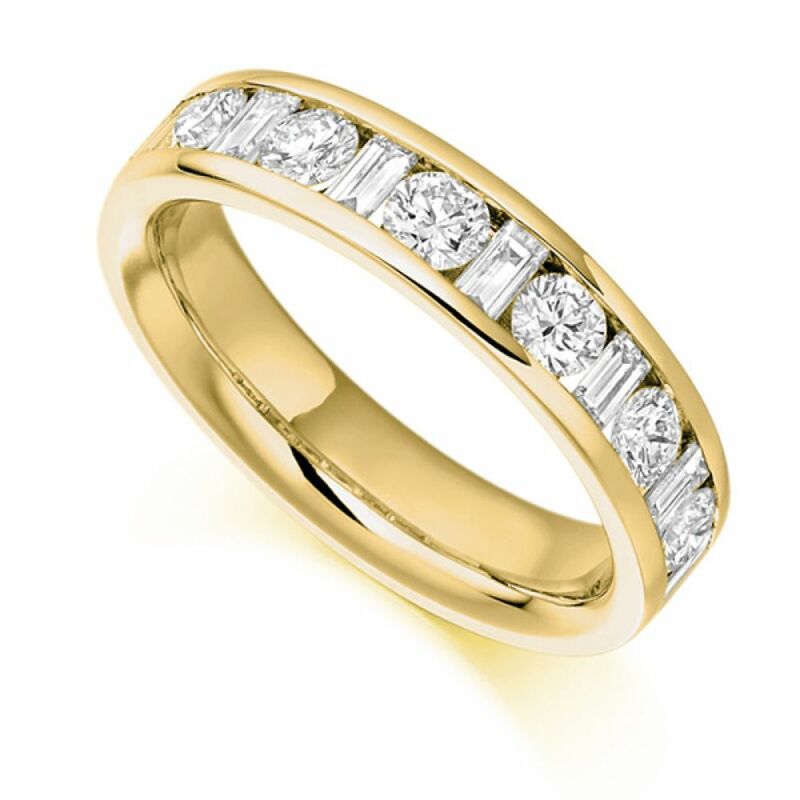 Serendipity Diamonds will deliver your ring securely to your door within 4 weeks with full insurance and peace of mind. Our pristine bespoke packaging offers a great alternative for gift packaging and is sent out to you in discreet white outer cartons. We can deliver from the UK to many locations Worldwide with all tax and shipping considered. We offer a reassuring 60 days return policy and a full insurance valuation. Please feel free to contact us for more information.